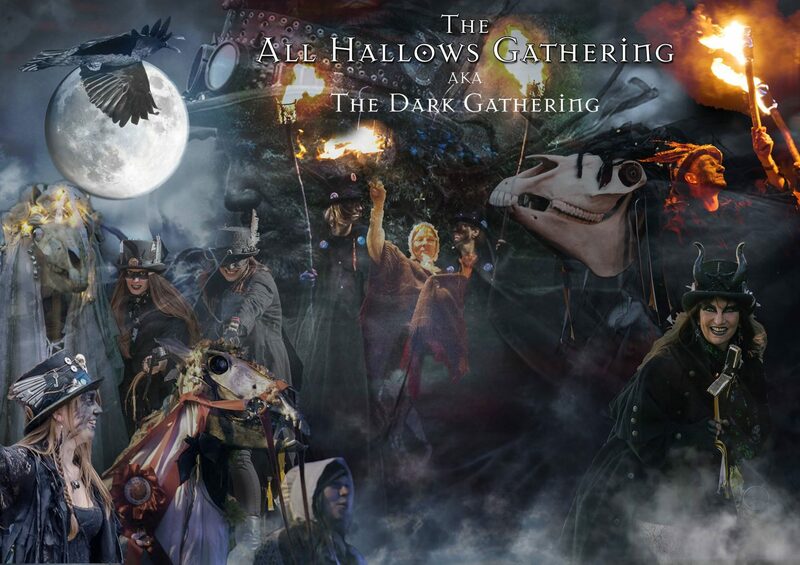 Welcome to the official All Hallows Gathering website. This unique community event happens each year at Hallowtide in the Cornish village of Boscastle. We hope you enjoy the experience! This special event began in 2014, but such has been it’s popularity that a website was required in order to field all queries, and disseminate information to those who follow it’s progress. Apparently in the folk world nothing is considered to be a tradition until seven years have passed – so when we reach that time we will celebrate accordingly! The All Hallows Gathering, or Dark Gathering as it is most commonly known, is celebrated on the Saturday before Halloween each year. This conveniently falls upon the half-term holiday so it enables families and children to attend which adds to the all important theme of ancestors at this time of year. It is basically a seasonal festival with dynamic performances from Morris dancers, musicians and the all important meeting of the Welsh Mari Lwyds with our Cornish Oss, Penkevyll marking the end of Summer and the beginning of Winter. The main venue of these performances is outside the famous Museum of Witchcraft & Magic in the pretty village of Boscastle, Cornwall. Enjoy browsing through our website where you will find the history to this event; fascinating information about hobby horses and other folkloric mast-beasts; many splendid images plus exciting footage from previous year’s Gatherings. We encourage and appreciate any queries or feedback from you.